If your vision is blurry or distorted at all distances from close up reading to looking further into the distance, such as at road signs, you may have astigmatism. This is due to the front part of the eye, called the cornea, or the lens within the eye being irregular in shape, often likened to a rugby ball. Because of their irregular shape, the eye cannot focus light passing through it properly onto the retina at the back of the eye, and this creates a blurred image (Acuvue, 2013). This is common, with more than 95% of the population having some level of astigmatism. The higher the degree of astigmatism, the poorer the person’s vision, if it is not corrected. It was once considered problematic to correct astigmatism using contact lenses. However, due to advancements in technology this is no longer the case. 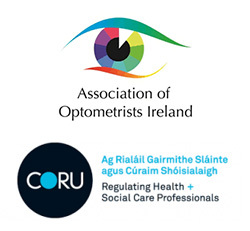 Rigid contact lenses do not conform to the shape of the eye due to their rigid nature and are therefore only able to correct low to medium levels of astigmatism in their basic form. For higher levels of astigmatism, they can be made with one axis able to correct more refractive error than the other. This type of lens needs more care in fitting than basic rigid contact lenses as the angle and power of the astigmatic correction needs to be matched to that of the eye. These lenses are usually worn during the day only and last for approximately one year. Courtesy of the British Contact Lens Association (2013). 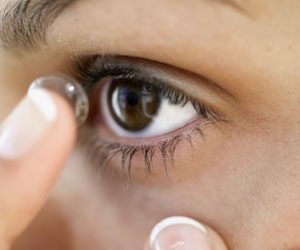 For more details and to discuss contact lenses as a method for correcting your astigmatism please contact Brady Opticians on 074 9721727, your local contact lens specialists.